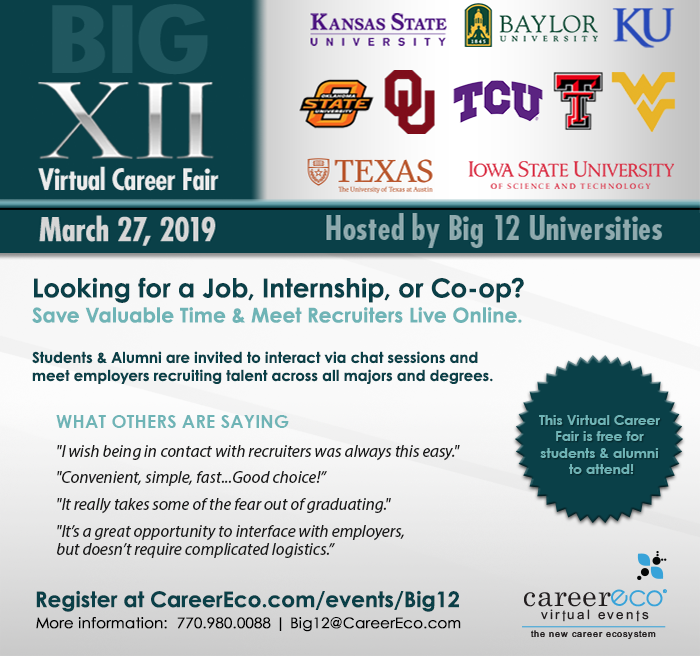 ISU Career Services offices have partnered with colleagues of the Big 12 to provide the Big 12 Virtual Career Fair on Wednesday, March 27th. Register to connect with more than 100 employers from across the United States. To participate, students can expect to register, upload a resume and create a profile, select employers of interest, view chat schedules, then log in on March 27 to join chats. Registrants will receive additional information and tutorials from CareerEco, the technology provider for the event.